Merry Christmas – Only 1 Sleep to Go! You are here: Home / Articles / Merry Christmas – Only 1 Sleep to Go! Only 1 sleep to go and Santa will be here!! I want to wish all my followers and blog readers a very Merry Christmas filled with laughter and cheer, and of course some sugar and spice too!! 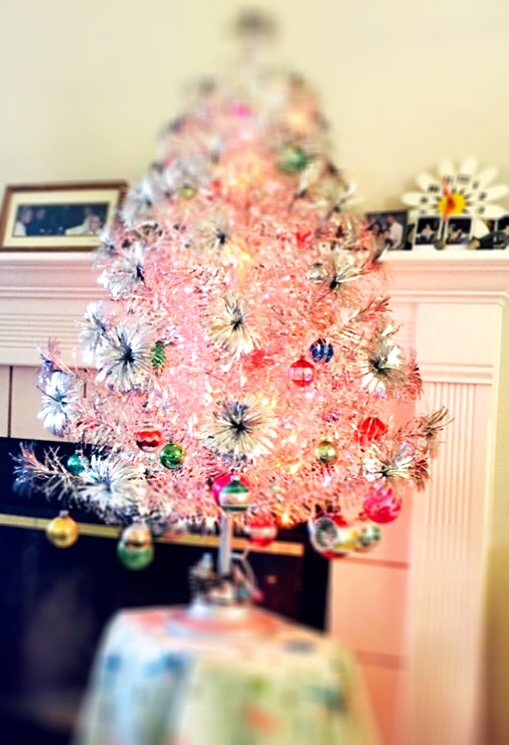 I’m sharing a pic of our tree this year that we brought home right after Thanksgiving…. 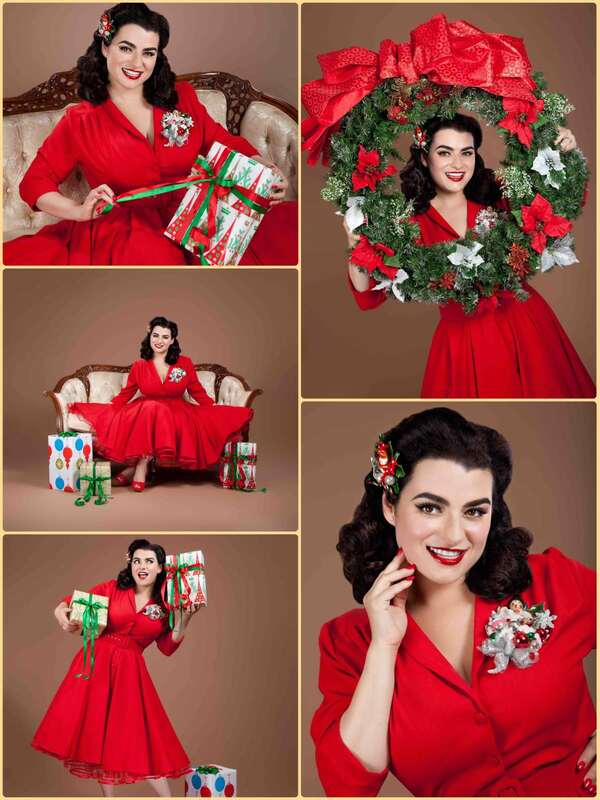 I love it so much, it is tinsel/aluminum, I told hubby I want to leave it up way past Christmas 🙂 Also sharing my favorite Christmas pinup pics with you, I am in-love with how beautifully these turned out, so ‘old-fashioned and classic from the 50s) just like I pictured when I was styling the photoshoot and paying attention to all the little details like the dress, the vintage hair pin and vintage Christmas corsage, the vintage mid-century modern wrapping paper on the presents and the custom wreath with vintage holiday details. Merry Christmas everyone! !